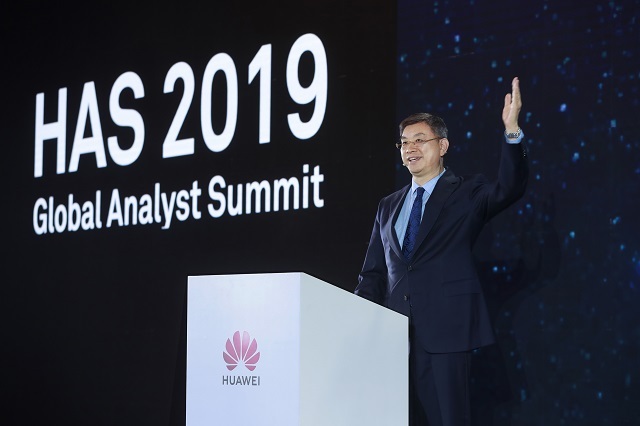 William Xu, Director of the Board and President of the Institute of Strategic Research of Huawei, addressing the Global Analyst Summit 2019. Huawei held its 16th annual Global Analyst Summit in Shenzhen, China. The theme of this year’s summit was “Building a Fully Connected, Intelligent World”. William Xu, Director of the Board and President of the Institute of Strategic Research of Huawei, announced that Huawei is moving into the era of “Innovation 2.0”. Innovation 2.0 is all about vision-driven theoretical breakthroughs and inventions. This is based on Huawei’s assumptions and vision that we will enter an intelligent world. In Innovation 2.0, Huawei will overcome the bottlenecks in theories and basic technologies that have hindered the development of ICT, and make theoretical breakthroughs and produce inventions. Huawei has established the Institute of Strategic Research to help make Innovation 2.0 a reality. According to Xu, to make Innovation 2.0 a reality, Huawei will undertake initiatives such as building labs, working with universities, and making capital investments. “We must consider industry challenges, academic insight, and the confidence of venture capitalists to conduct joint innovations, and share the results,” Xu said. The Institute of Strategic Research will be mainly engaged in research into cutting-edge technologies over the next five or more years. Each year, Huawei invests US$300 million to fund academic research in basic science and technologies, and technological innovation. The Institute helps ensure that Huawei does not lose its direction or miss any opportunities over the next five or more years. It will also explore technological and business models surrounding Huawei’s core business to ensure lasting competitiveness. This is an important part of Huawei’s research efforts. Scientific research: Huawei will earmark funds for basic research and talent cultivation to drive theoretical breakthroughs. Technological research: Huawei has extensive experience in enabling diversified industry applications. In addition, we are facing many practical, real-world problems and share universal challenges such as the Shannon Limit, the “memory wall”, and the inevitable slowdown of Moore’s Law. This is where universities and Huawei come into play. Working together, we can seek breakthroughs in engineering and technology and speed up the process of translating university research into real-world applications, thereby crossing the “valley of death” of innovation. Technological innovation: We aim to overcome current engineering and technological challenges through our joint research programs. Future growth for Huawei and the industry relies on revolutionary changes sparked by theoretical innovations and inventions. Huawei will work with industry peers and universities to drive innovation in theories and basic technologies, as these will light the way forward for the industry and the world at large. When in uncharted territory, we have to make our own trail.